Watts Reverse Osmosis systems supply pure RO filtered water to many different applications. 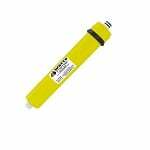 The Watts AICRO replacement uses coconut granular activated carbon filter media to capture unwanted waterborne pollutants and reduce chlorine taste and odors. 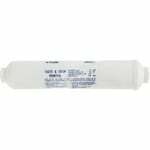 Watts Flowmatic FM 1100 15M Membrane is a 50 gallon per day reverse osmosis membrane for use in Watts Flowmatic manifold system FMR04-MAN / FMR04MAN. In Stock! Ships in 19 to 20 business days. 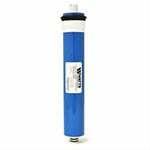 Watts Flowmatic FM 1100 18M Membrane is a 24 gallon per day reverse osmosis membrane for use in Watts and Flowmatic manifold systems. 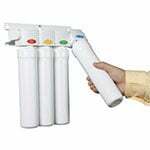 The Watts Kwik Change RO System WQC4 RO provides you with quality Reverse Osmosis drinking water and takes the hassle out of changing the filters. No more wrenchs. 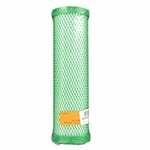 No more costly visits from your local plumber or dealer to change filters! 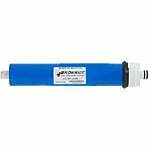 The Watts Premier F560014 24 GPD Reverse Osmosis Membrane is compatible with Watts Premier Standard RO Systems.